A review of the Union Labor Health Insurance Company Review leads to the Union Labor Life Insurance Company (ULLI). The company was incorporated in 1927 as a union owned insurance company. The mission ULLI used to start their company was to provide life insurance for union workers and their families that were affordable. They offer life, health, property and casualty insurance specifically for unions and their companies. For the best quote, you can type in your zip code and compare different health insurance quotes. Focusing on the specific field of union workers and companies with unions, ULLI is in a very niche environment as far as insurance. Finding and succeeding in an ever-changing business has been a priority with the company. Enhancing the stability of today’s unions and their financial security is why ULLI has been successful. ULLI is a stock company with assets of $4,364,924,895, a net surplus of $104,270,364 and capital of $3,578,700. Back in the 1920s, work safety laws had not been incorporated properly. Because of the way the industry was, many Americans worked in very unsafe jobs. Construction sites, factories, and railroads are just a few examples of these hazardous jobs. Because of the dangers involved with the work, life insurance was priced high or not allowed at all to some companies and workers. Labor leaders in the industry decided that workers needed something to fall back on if they ever were injured on the job. In case of death, it was also important to make sure worker’s families were taken care of. Leaders in the industry to provide this financial security through insurance formed ULLI in 1927. The first president of the American Federation of Labor, Samuel Gompers saw the value of having a labor-owned insurance company. In addition, along with Matthew Woll (president of the Photo Engravers Union), they helped to designed ULLI and its specific insurance plans. ULLI diversified and grew over the years. They not only offer health insurance, but also now offer services for administering trust funds for businesses and also investment products for pension funds. Ullico Casualty (Ullico) was created as a subsidiary of ULLI in order to offer insurance to trustees of their benefit plans. 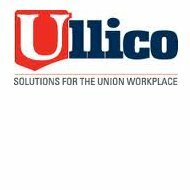 In 1987, ULLI and other Ullico subsidiaries created one large holding company named Ullico Inc. Along with their life and health insurance, Ullico also offers casualty and property insurance. They offer risk solutions for those companies with labor-intensive jobs. Insurance products from Ullico have been specially designed to meet today’s needs in the union industry. For a credit rating, A.M. Best gave ULLI a “bbb” rating, which is an “Adequate” rating. The outlook for their credit rating was a positive “Stable” rating. The ratings are very recent with an effective date of July 12, 2011. Ratings for A.M. Best fall anywhere between “A++” to “F.” A++ is considered the “Superior” rating while F is considered “Liquidation” in terms of financial strength in a company. Any rating between an A++ and a B+ is considered “Stable” or “Secure,” which ULLI falls under. According to the Better Business Bureau (BBB), ULLI received a rating of B on a scale of A+ to F. The reasons for the B rating are the following: They are not BBB accredited, lack of sufficient information surrounding their operations, and lack of sufficient background information on the business. With a decent rating from A.M. Best, Demotech Inc. and the Better Business Bureau (BBB), ULLI is a good place to get health insurance if you are a union member or a company with a union. For more information on ULLI and its subsidiary Ullico’s health insurance rates, you can type in your zip code and compare with other insurance companies.